Much of this blog is centered around our family's grief over the loss of our precious Joey to cancer. Many people assume when people speak of grief, that it pertains to the loss of a person. But grief can take many forms. One person's loss and devastation can be so different from the next. A very wise person once said to me, "Life is one long process of grieving. We begin by grieving the loss of possessions and relationships, and we move toward grieving the loss of people or of our own physical or mental abilities that were once so natural. We grieve the loss of dreams and a former way of life. This is the natural progression of grief and one that is to be expected as we navigate through our lives. But there is also unnatural grief, and this is perhaps the hardest to accept. Sudden, gut-wrenching, life-altering grief - like a fatal accident or a fatal heart attack. Or slow, torturing grief that cannot have a good outcome. Like terminal cancer. Nobody gets out of this life without experiencing grief. The one guarantee in this life is that you WILL experience grief in some way. We can't change this, but we all must find a way to live with it." 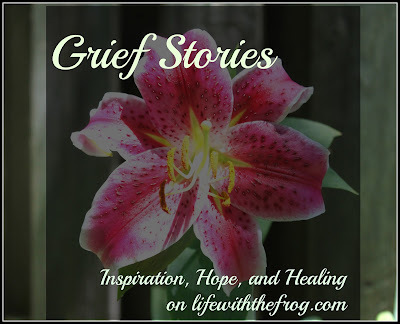 My purpose in launching Grief Stories is to share writers who have worked through their grief and pain, and have come out the other side with hope, healing and inspiration. If just one person reads these stories and finds comfort, it will make a difference. If you are a writer wishing to contribute a story, please first familiarize yourself with this blog and read some of the other grief posts. 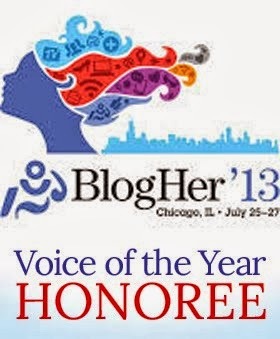 Then e-mail me your entire post at kathy@lifewiththefrog.com, and I'll see if it will be a good fit.